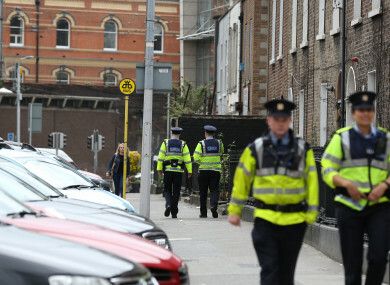 GARDAÍ HAVE SAID that 46 people were arrested during a three-day operation targeting “organised begging” in Dublin city centre. Plain clothes and uniformed officers from Pearse Street conducted the operation last Friday, Saturday and Sunday – 9, 10 and 11 November. They visited areas around Temple Bar and Grafton Street which attract a large number of visitors, gardaí said. Those detained were arrested under the Criminal Justice (Public Order) Act 2011 (Begging). All 46 are expected to appear in the Courts of Criminal Justice on Thursday 6 December. Email “Gardaí arrest 46 in operation clamping down on 'organised begging' in Dublin city centre”. Feedback on “Gardaí arrest 46 in operation clamping down on 'organised begging' in Dublin city centre”.